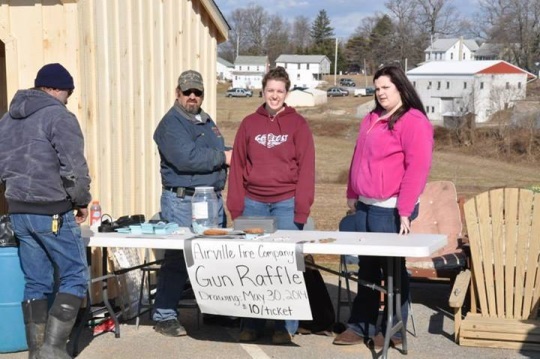 Two Saturdays ago the Airville Volunteer Fire Company held their annual mud sale. Airville is a small community lying in southeastern York County. 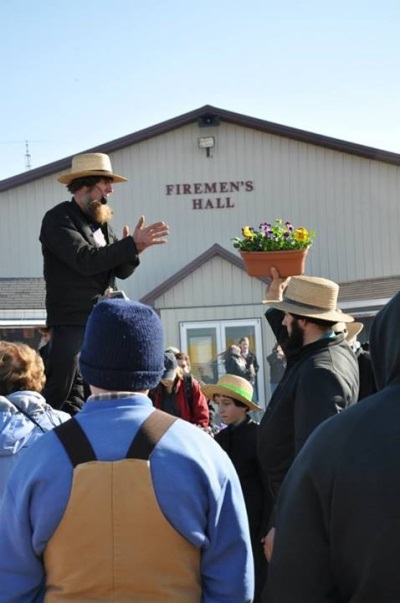 Due east across the Susquehanna River you’ll find the southern Lancaster County Amish population including communities around Holtwood and Quarryville. The Airvile Fire Company has posted a fun batch of photos via its Facebook page. You can see some of them here, but there are many more, which you can access on their FB page at full size. Thanks to reader Rita for sharing a little on this sale. 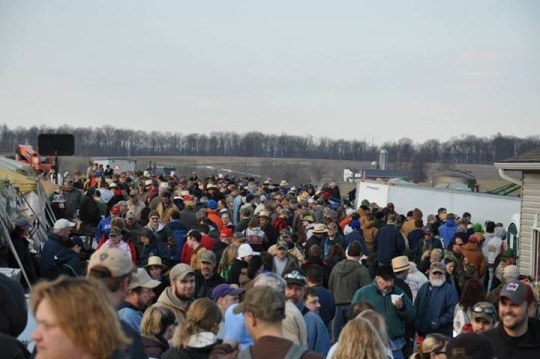 According to this 2012 article, this is the only mud sale held in York County. The company earns around 8% per sale, raising around $10,000 in 2011. The sale has grown a lot since its inaugural edition in 2001. 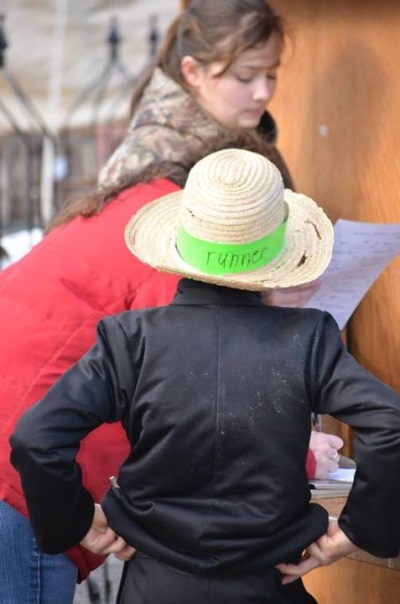 Rita says that at this year’s Airville sale, there was no on-site parking, “due to too much mud!” She notes that there were nine areas set up, “mainly school and church parking lots”, where attendees could park and take a bus to the sale. I really like these pictures. Do they mud sales in New York STate? 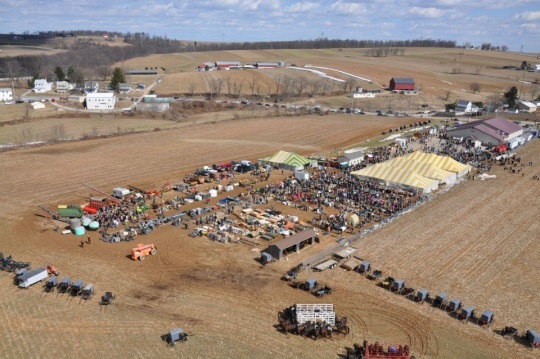 Yes, seeing photos of annual mud sales are a true sign of spring, just like the song of the Redwing Blackbird I’m listening to as I type this (despite the fact that the temp. is in the teens this morning). 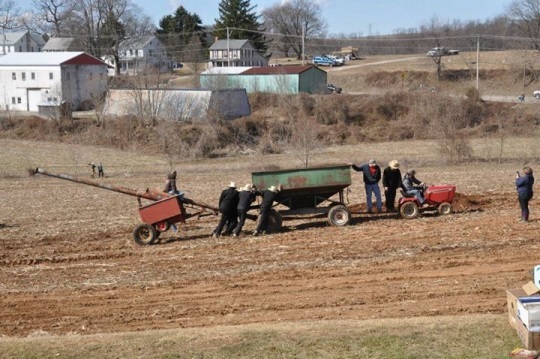 What’s the history of volunteer fire departments hosting these mud sales? 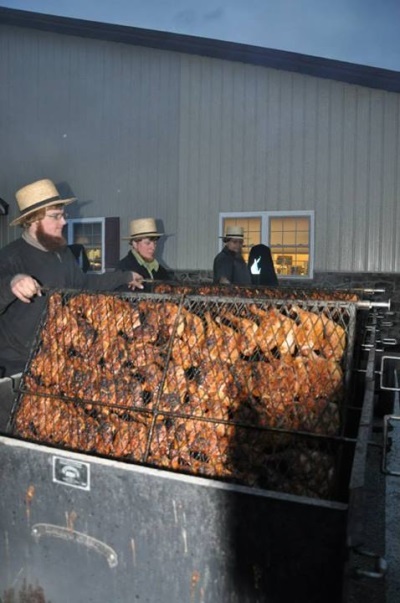 Is it because the Amish are among the volunteers, or was it just a common thing to do this time of year, anyway? Thank you for sharing your photos, Rita! The last photo took me by surprise, as the man very closely resembles my nephew! Love all these photo’s. A mud sale looks like it would be fun to go to. Thank you for the armchair trip to Pennsylvania today, and the Facebook photo links. 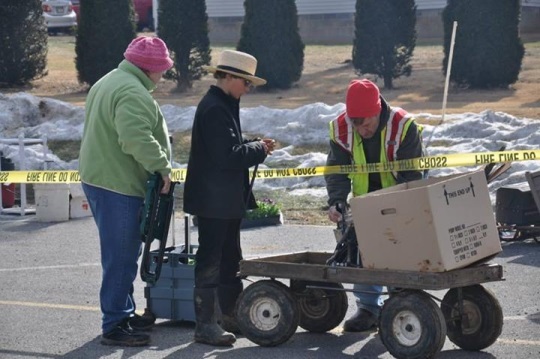 So is this a consignment auction that benefits the whole community, rather than all the items being donated? I am comparing the purple quilt from Airville to see if it’s same or different than the purple quilt picture taken by Lauren Futch at Bart. Yes according to the article it is on a consignment basis with around 8% of the proceeds going to the fire company. Not sure how that squares with other mud sales, but seems pretty reasonable. Maybe some donate to this one as well, but I don’t see that info in the article. I believe donation basis would be more common for something like the Special Children’s Auction. 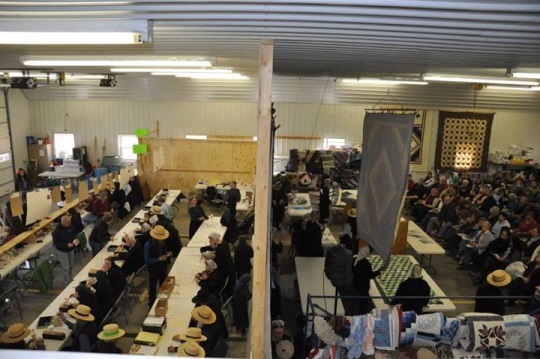 “It’s really just grown,” he said, noting that the first sale in 2001 had 300 to 400 bidders and last year’s sale had 1,700 bidder numbers. Miller said anyone can drop off items at the firehouse to sell. The fire company gets, on average, 8 percent back from the items sold by the consignors. 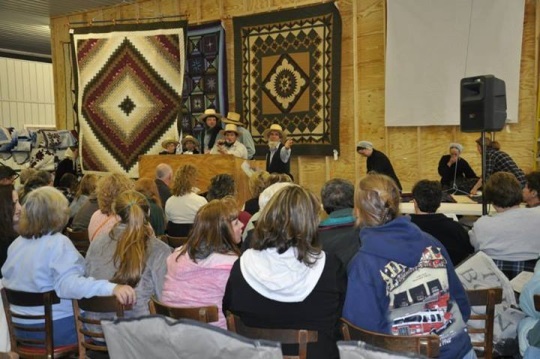 I immediately recognized the quilt that you are referring to in the photos from the Airville sale. It definitely looks similar to the purple quilt that I photographed at the Bart Township Fire Company Mud Sale. Great photos! Wish I could go to one. 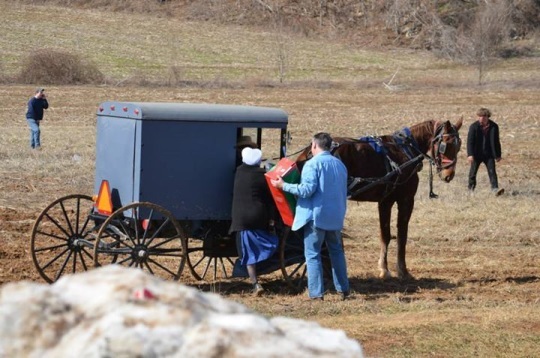 Thanks for sharing my neck of the woods with Amish America readers – we live in a beautiful area. You can see just a bit of it in these pictures – you should see it when the weather is warmer and everything greens up! 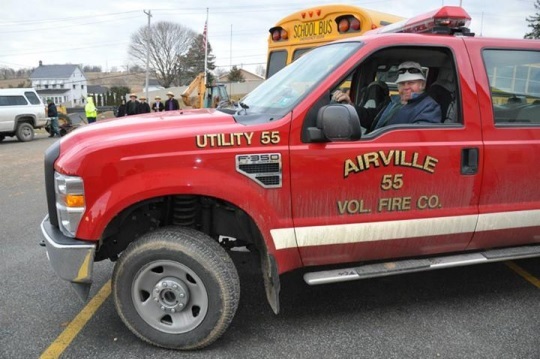 I encourage everyone to check out the Airville Volunteer Fire Company’s Facebook page – there are many more pictures like these. Enjoy! 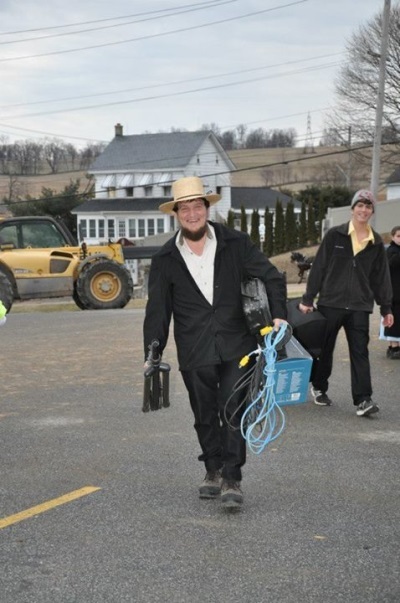 I had thrown my name in the hat to go out on either one of two long term construction projects that my company is sponsoring, both in Amish areas. 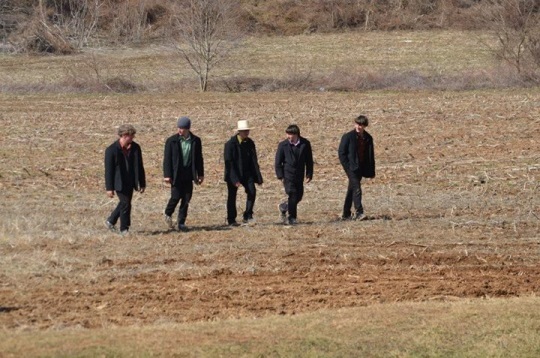 My thinking was it would be really nice to be able to live among, or at least nearby, the Amish for a year or so before I hang up my cleats, or in this case … work boots. The mud sales is something that I was very muck looking forward to attending. Unfortunately, with the generational changing of the gaurd I am now being told that the jobs that I would qualify for are being reseved for the many young engineers that they have hired, or will soon hire, all of which have plenty “book smarts” (education)but absolutely zero practical or hands on experience. They have to get this experience if they are going to contribute in the future. I realize that this situation is actually a mild form of age discrimination, but I also wouldn’t even consider taking a position where I am not needed and wanted. So whate has to happen has to happen. It looks like the mud sales in my future will will have to wait until at least the spring of 2017; the following year after I retire in June or July of 2016. Signs are good that the mud sales will still be going in full force by then Oldkat. 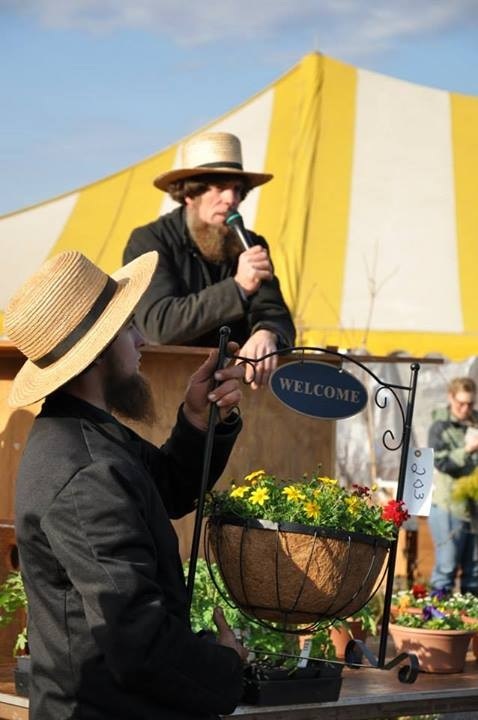 If you can’t make it before then, 2016 or 2017 is not too far off here (I say 2016 b/c despite the association with spring they go later into the summer and even fall–this year there are two scheduled in October, for Strasburg and Cochranville–though if you’re after mud, you may not get as much as you want that time of year 😉 ). 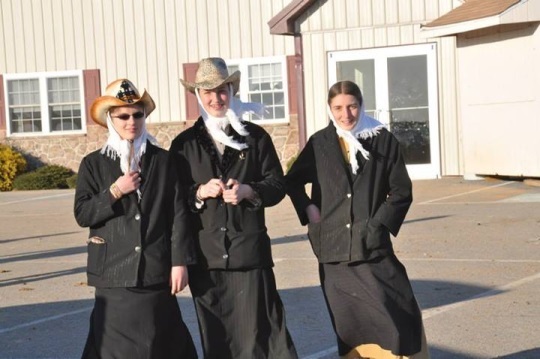 Yes Debbie another example of Amish not being as camera shy as we might suppose. Of course, many are not this willing to say cheese. 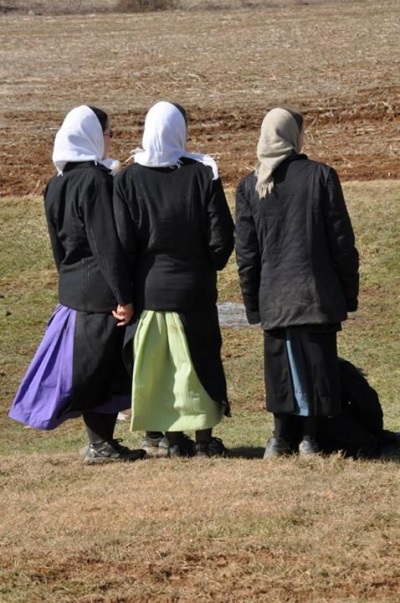 The girls above might not be church members, though the fellow in the final photo almost certainly is. I think there were some more like this on the Airville FB page, there are probably a few hundred photos from this event. 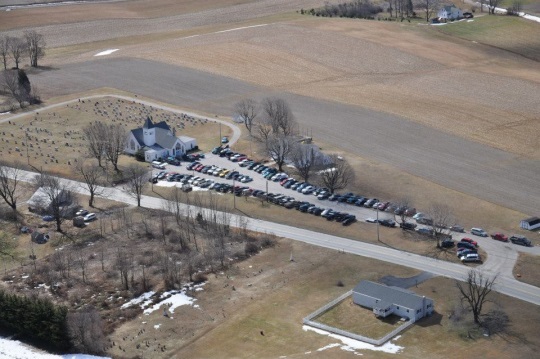 What are the Amish doing, seated at those tables? 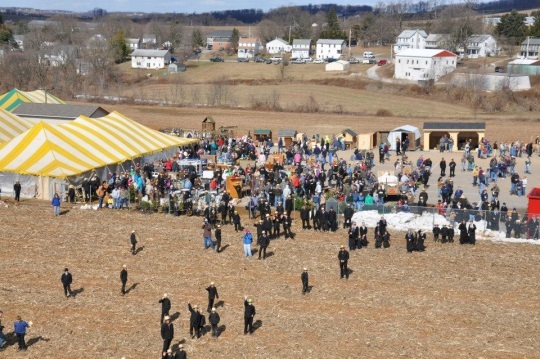 In a couple photos here, I see two rows of tables with Amish people seated at them. 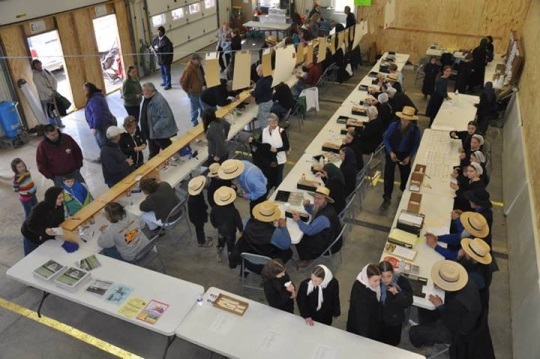 There appear to be papers that the Amish are using on those tables. What are the people doing? Other Erik, that is the room where you can sign up for your number to bid on items. 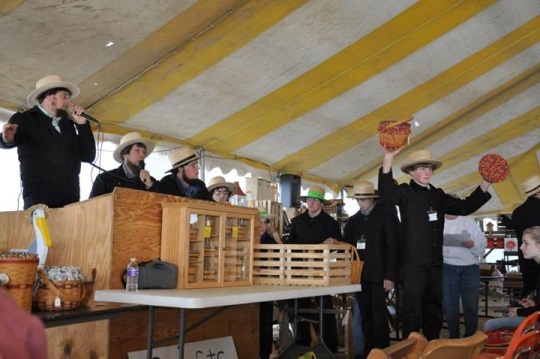 When you win a bid, the auctioneer gets your number and that information is given to the people in that room. When you’re ready to pay for all your items, you go back to that area and they have a listing of all your items and give you your total and collect your money there. Erik,I am a chef. 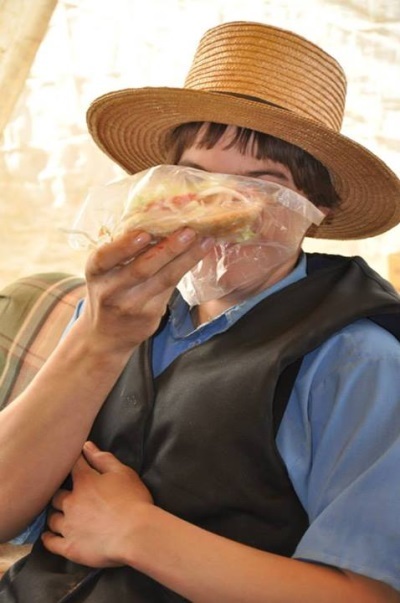 I attend at least 3 mud sales a year to observe and purchase as much homemade food from the Amish that I can fit in my belly. I have been trying to figure out the marinade/recipe for the chicken they cook on those giant charcoal grills. Any thoughts? Dan, the chicken barbecue sauce probably has a vinegar/butter base. While grilling, the chicken is turned and basted with the sauce every 5 or 10 minutes. Other methods use an overnight marinade, or a dry rub of seasonings, or a tomato-based sauce applied after grilling. I’m not sure why the recipe below says to sear the chicken.